In recent years, Las Vegas has become home to world-class entertainment with some of the biggest names in music taking up permanent residence. At the same time, the town has become one of the premier food scenes in the country as casinos look for more ways to attract visitors and offer a unique experience. Today, the strip attracts some of the biggest chefs and plays host to a wide range of restaurants that serve up gourmet food at a variety of price points. For those who want to enjoy some great food as they gamble, here are some must visit restaurants that are located right in Las Vegas casinos. You know a restaurant must be good when it is simply named after the chef. Michael Mina is an award winning Michelin-star chef who has a clear passion for seafood. The menu features only the freshest ingredients and focuses on seasonal dishes and unique takes on classic seafood recipes. Many of the offerings come directly from Mina’s cookbook. To enjoy a well-rounded dining experience, consider ordering from the tasting menu and asking for wine pairing recommendations. This is the best strategy for sampling as much as possible and experiencing how the right wine can bring out the flavors of a well-designed dish. Joel Robuchon has been dubbed the “Chef of the Century” and is the mastermind behind the only Las Vegas restaurant to be awarded three Michelin stars. His French cuisine can be sampled through a 6-course or 16-course meal. 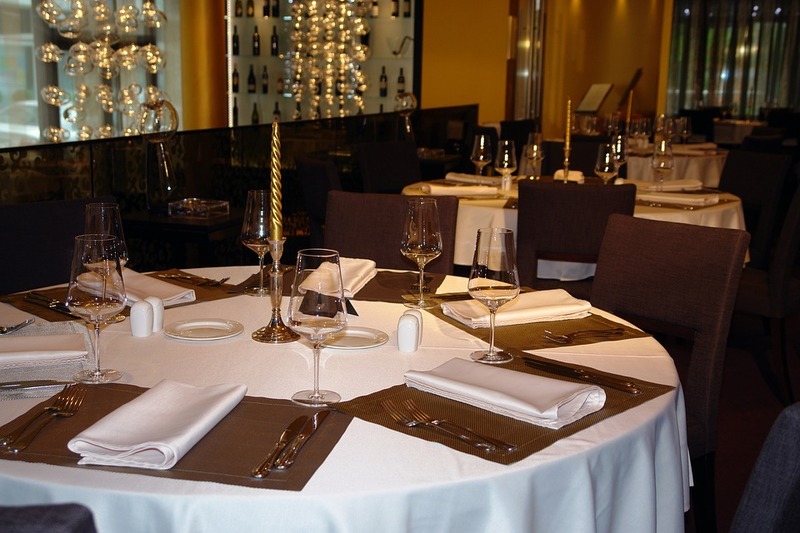 This is fine dining at its best, so be prepared for a more formal venue. Notable dishes include French classics like steak tartar and free-range quail. Guy Savoy is a world-renowned French chef and owner of 5 restaurants. While most of his establishments are located in the heart of Paris, Las Vegas visitors have the unique opportunity to eat at his only restaurant outside of France. The location is small and intimate, which helps create a true dining experience. Be prepared to spend top dollar on your meal, but the cost is worth being able to eat at a two star Michelin restaurant right in the heart of Las Vegas. Don’t leave without sampling the famous artichoke and black truffle soup, which has helped the restaurant to earn the AAA Five Diamond Award and the Forbes Five Star Award. 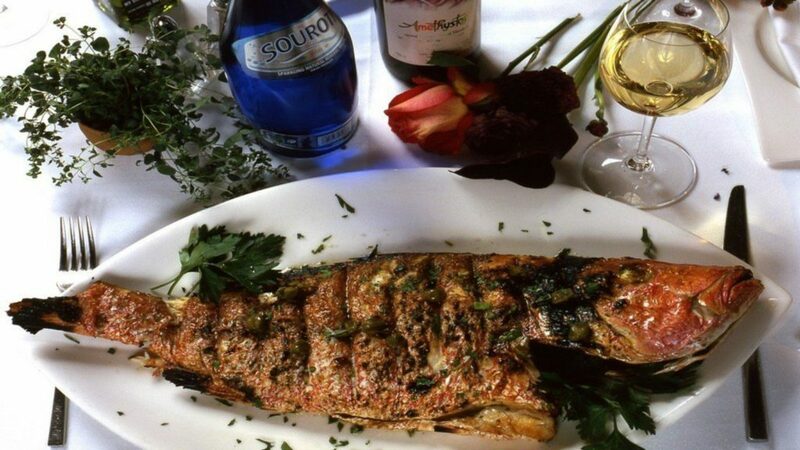 If you aren’t a fan of French cuisine, then consider visiting Estiatorio Milos, a Greek and Mediterranean restaurant that prides itself on offering the freshest seafood available. Once you are seated and ready to order, you will be taken over to a cooler where you will be able to choose the exact fish you want to eat for dinner. Your choice of delicacies will then be expertly prepared and served up with fresh, seasonal vegetables and delicious sides. Compared to other dining options, the prices are relatively affordable with entrees ranging from about $30 to $50. While you can always opt for the lamb chops or filet mignon, it would be a shame not to sample some of their fresh seafood during your visit. Gordon Ramsay is probably one of the most recognizable names and faces in the culinary world. He trained under Guy Savoy and has hosted and starred in numerous television shows where he is known for demanding excellence and losing his temper now and then. While you might not want to work for him, you shouldn’t pass up the opportunity to eat one of his steaks at Paris Las Vegas. The atmosphere is a little more loud and energetic than some of the other restaurants on our list, which gives it a more causal feel. The dining area is meant to evoke the atmosphere of busy London streets and includes a giant Union Jack flag on the ceiling. 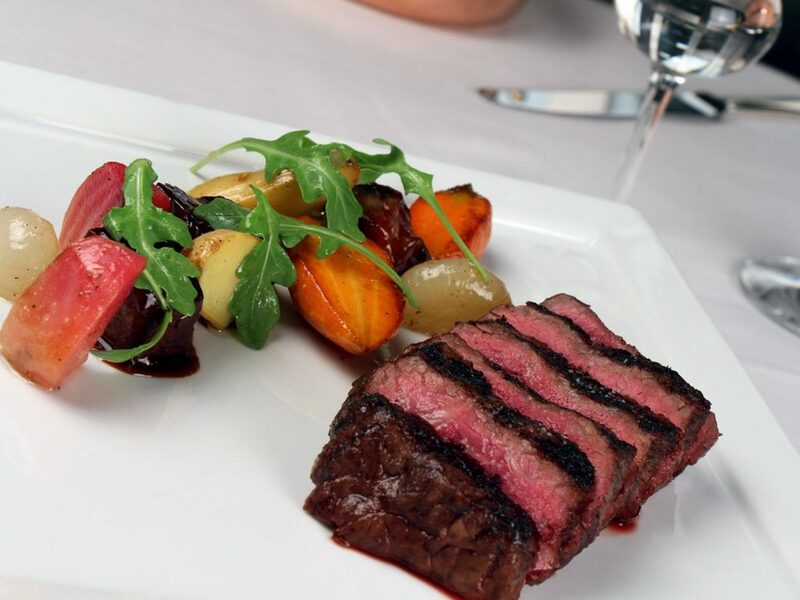 Whether you order the ribeye or Kobe beef cap, you won’t be disappointed. If you want to enjoy a hearty meal without having to worry about spending a fortune or putting on some formal attire, then swing by Holstein’s for what some say are the best burgers in Las Vegas. Keep in mind that these aren’t your average burgers. They offer over 25 gourmet burgers with creative toppings and recommended beer pairings for a full dining experience. 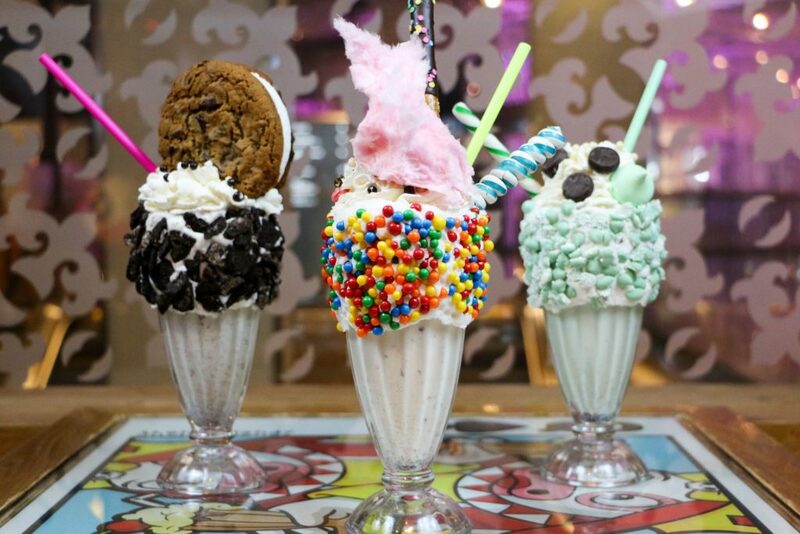 Also, be sure to save room for dessert because you don’t want to miss out on sampling one of their giant and famous shakes that come topped with all sorts of extras, including an entire donut. No Las Vegas restaurant list would be complete without mentioning at least one buffet. The Buffet at the Wynn hotel and casino has long been regarded as one of the best options in town. The dining area is bright, colorful and full of beautiful flower arrangements that will make you feel transported to a different place. Food choices come from around the world and the buffet includes 15 live cooking stations and over 120 different dishes. You can sample new foods and enjoy your favorites as prepared by world-class chefs. 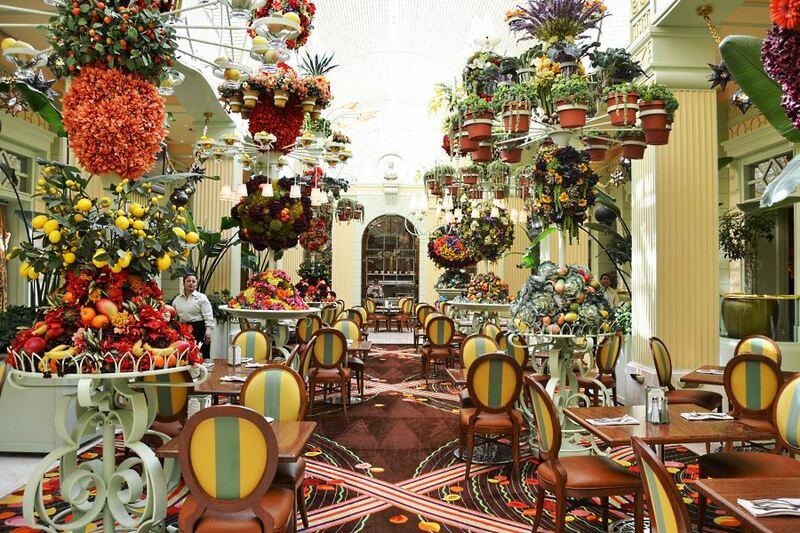 If your brought your appetite to Vegas, then the Buffet at Wynn is worth checking out. If you have never been to Las Vegas or it has been while since your last visit, you will be amazed to see what area casinos have to offer. As casinos work to attract new customers and stand out from the competition, there has been an incredible influx of technology along with entertainment and dining options. The casino floors are being revolutionized by new games, hospitality is being improved with management and scheduling solutions like Casino Schedule Ease and the biggest names in food, music and entertainment are taking up residence in Las Vegas. You don’t have to travel any further than the strip to experience some of the best food in the world.